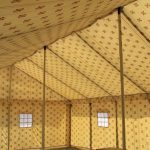 We make the best waterproof tents, using PVC coated fabrics with beautiful inner liners. 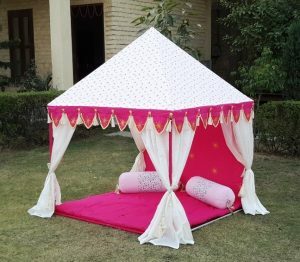 These are Frame tents, hence no center poles, so you get full inner area for utilization. 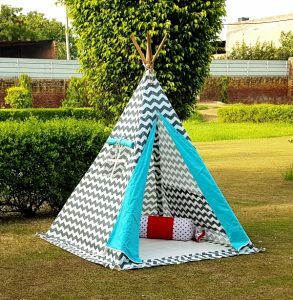 You can customize the tent size, inner prints and colors. 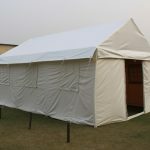 These are generally used as waterproof party tents, conference tents, marquees for weddings, and marriage tents. 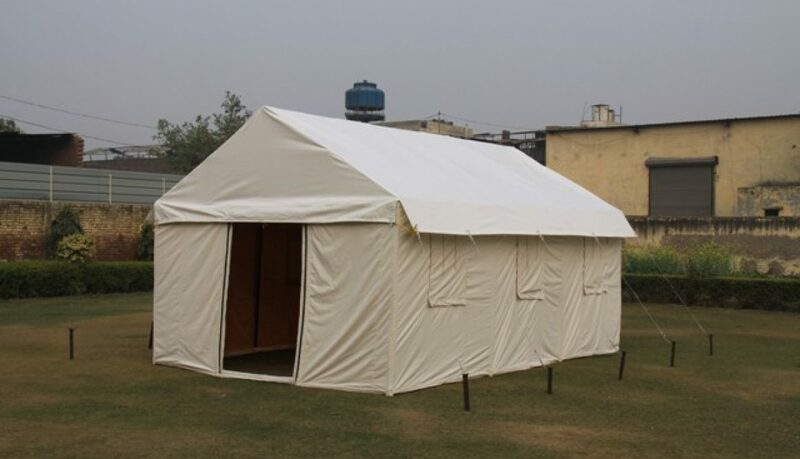 These are very strong and sturdy tents and can easily withstand rains and light winds. 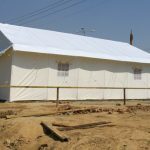 Do contact us for pictures & prices of the PVC waterproof tents. 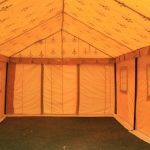 We make waterproof tents for resorts, retreats & hotels for camping & glamping. 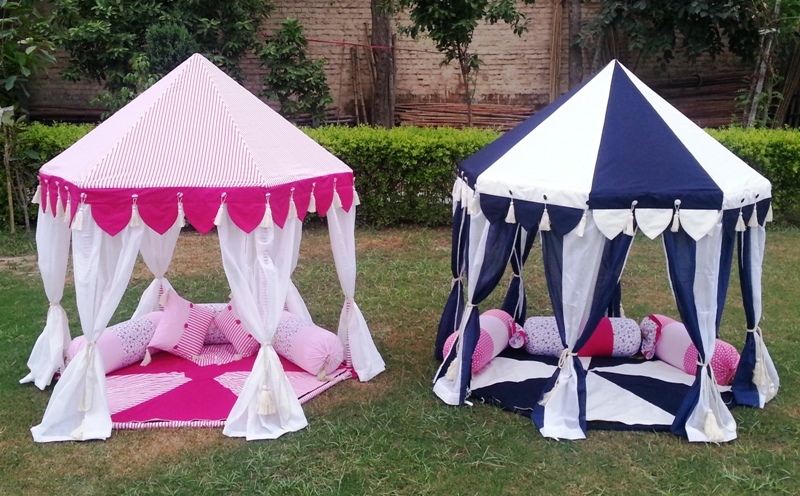 We make a wide variety of Children’s Tents and Play Houses for their rooms as well as outdoor play. 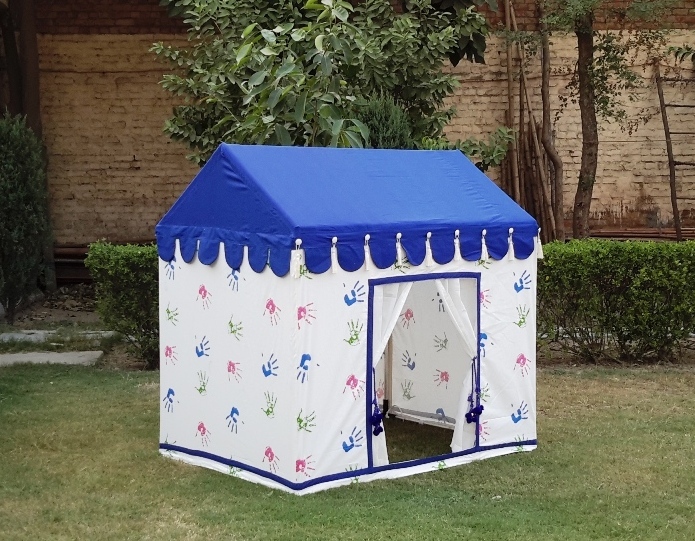 Our Kid’s Tents are made on very stable metal pipe frames, safe for the children. Our cotton fabrics for tents come in a variety of colors and patterns, to match the decor of your kid’s room. These tents can also be placed in the garden, for your child to safely play under the sun. We make best quality organic cotton fabric tents. Girls love to have their own corner in a room and play with their dolls and teddy bears. 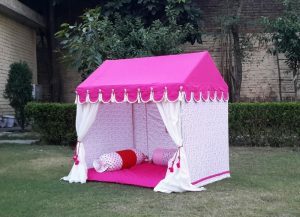 Gift her a small tent house, that she can convert into a doll house, a dream house or even a reading corner in her room. 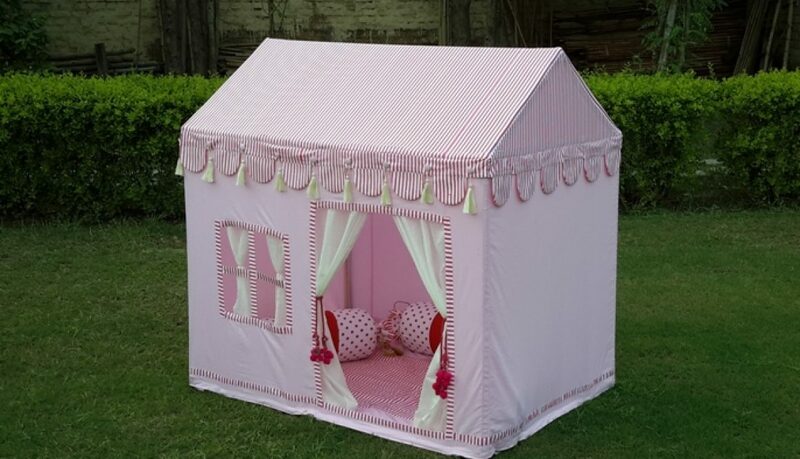 We have lots of options for girl’s tent, so buy her a tent and let her invite her friends over for a Barbie party ! Boys have their own game plans, gift them a kid’s tent and they will invite all friends over to play all day long in the tent with their cars and action figures. Be creative while gifting kids and they will love you for it !